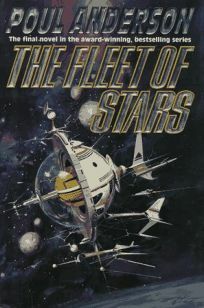 Moving rapidly among Earth, the moon, Mars, space stations and both asteroid and interstellar colonies, this far-future novel concludes Anderson's Harvest of Stars tetralogy (Harvest the Fire, 1995, etc.). The indomitable Anson Guthrie returns to the solar system in the form of a personality downloaded into his spaceship's computer, having learned that the artificial intelligences that exercise a benign despotism over Earth are suspected of hiding a dangerous secret. Rumors of this secret spark nearly 30 years of increasingly violent fighting, ending in the deaths of two of the most likable characters in the book, as Guthrie plays a decisive role in revealing that the ""secret"" is nothing of the kind. This novel is classic Anderson. Most readers will have long made up their minds about his dialogue (bard-like or unnatural? ), descriptive passages (rich or excessive? ), libertarian political agenda and other idiosyncrasies. Those who accent the positive--and with Anderson, that means many--will find the novel to be an exciting culmination to an ambitious saga about the future of human evolution. (Mar.) FYI: Anderson, who has won seven Hugo and three Nebula Awards, published his first SF story a half century ago, in 1947.